A popular online game shows how linguistic and cultural knowledge may affect whether players can correctly identify different languages, according to a study published April 5, 2017 in the open-access journal PLOS ONE by Hedvig Skirgård from the Australian National University, Australia and colleagues. The Great Language Game is a large-scale online game where players listen to an audio speech sample and guess which language that they think they're hearing, selecting from two or more options. Skirgård and colleagues analyzed the data from this game - data from nearly one million participants - to determine which languages were often confused for others, and whether they could find any patterns that would help predict confusion or accuracy when identifying a language. The researchers found that participants were better able to distinguish between languages that were geographically further apart and had different associated sounds. 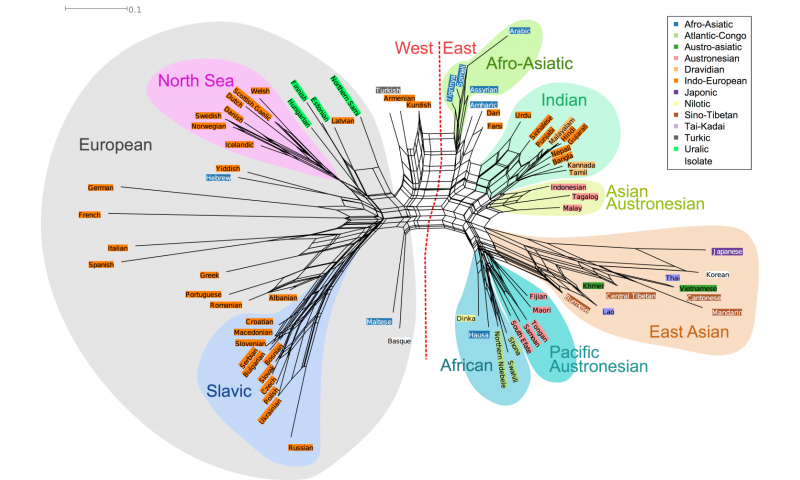 The researchers also found that cultural factors influenced whether a language was identified correctly. If the language was the official language in more countries, had a name associated with its geographical location, and was spoken by many people, then it would be more likely to be identified correctly. While the current game only contains 78 languages, and mostly from European countries, it does provide insight into why some languages might be confused for others. In their future research, Skirgård and colleagues hope to expand their analysis to lesser-known languages.